What are the compatible phones with the Razer Chroma Configurator App? Will the charging performance be affected if I have a phone case on the Razer Phone 2 when charging with the Razer Wireless Charger? Yes. Phone cases increase the optimal distance between your Razer Phone 2 and the Razer Wireless Charger. This may impact charging ability and charging speed. Can I use the Power Adapter from the Razer Phone 1 with the Razer Wireless Charger? We recommend you use the power adapter that came with the Razer Wireless Charger or Razer Phone 2 for optimal performance. How do I use the Razer Wireless Charger? Please install the Razer Chroma Configurator app for Android or the Razer Charger app for iOS. Then follow the "Add Device" prompts to establish a Bluetooth connection with your phone. The Razer Wireless Charger must be connected to the enclosed power adapter and cable. 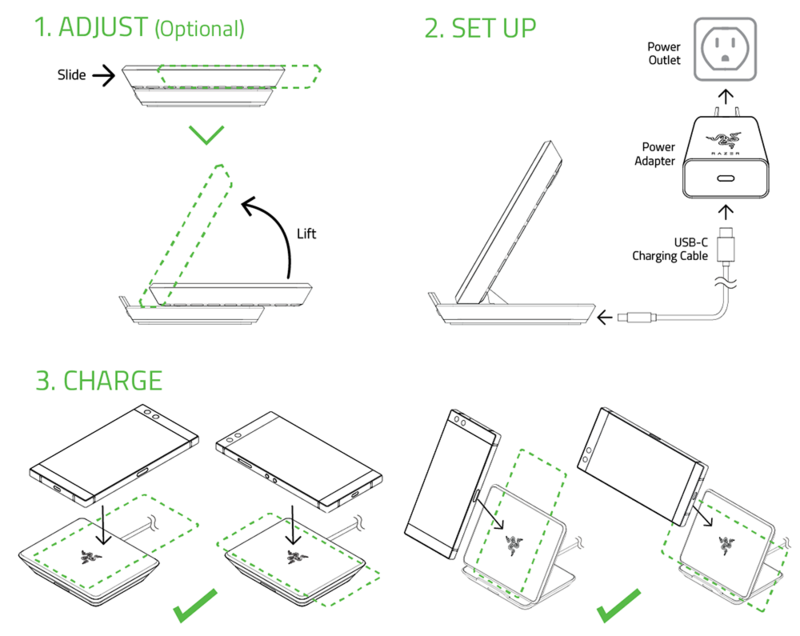 If you wish to use the Razer Wireless Charger in the upright position, carefully slide the top of the charger and lift as indicated in the diagram. Next, place your phone in the correct orientation to the charging pad to enable charging. Phones not placed correctly on the charger will not charge. Please note: You do not need to pair your phone to the Razer Wireless Charger to begin charging. To optimize the Chroma lighting on your device you will need to install the app and pair the charger. What phones are compatible with the Razer Wireless Charger? We offer native support for Razer 2 phones. Just turn on your charger and connect via the Razer Chroma app. 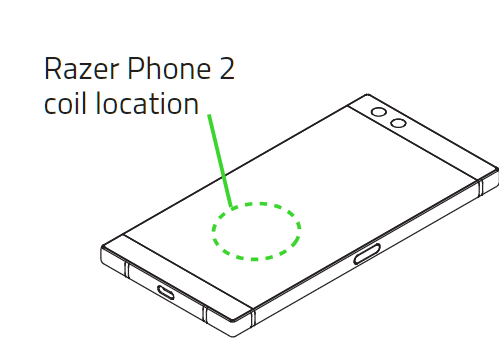 The Razer Wireless Charger will not work with the Original Razer Phone but may work with other phones that are compatible with the Qi Wireless Charging standard. Why isn’t my phone charging on the Razer Wireless Charger? If your phone is compatible with wireless charging, there are a couple of things you can do to troubleshoot not-charging issues. Check to make sure your phone isn’t 100% charged. If it’s at 100%, the Razer Charger will not charge your phone. If it’s less than 100%, make sure the Razer Charger is plugged into an outlet and not your computer. Your computer will not be able to send enough wattage to the Razer Charger to charge your phone. If it’s plugged into an outlet and below 100%, make sure that the phone is aligned correctly so that the Qi charging pads are lined up to receive wireless charging. Try picking up your phone and putting it back down, ensuring the alignment is correct. Your Razer Charger will start to blink green when it has successfully established a connection. Check for any metal items attached to the back of your Phone in the charging area. Double check that your phone is properly placed at the center of the charging surface. Qi (pronounced: "chee") is a global standard for wireless power transfer like Bluetooth, NFC, USB and Wi-Fi. Its name comes from the Asian philosophy and means "vital energy"; an intangible flow of power. How many phones can be paired to the Razer Wireless Charger? Only one phone can be paired to the Razer Wireless Charger at a time. The Wireless Charger will remember the last phone it was paired with. However, you do not need to pair your phone to charge it. For the best experience, take advantage of customizing your Razer Wireless Charger's Chroma lights by installing the Razer Chroma Configurator app for Android or the Razer Charger app for iOS. 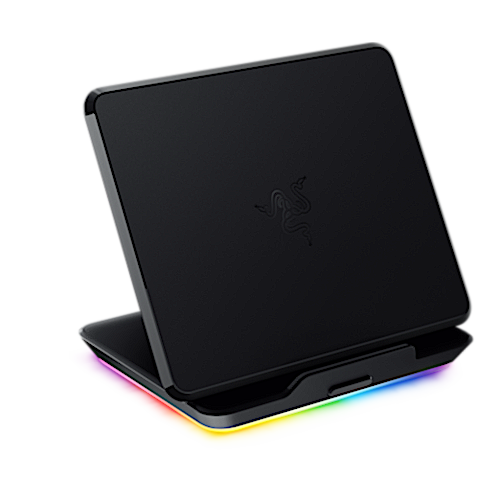 Which Razer Chroma effects are available on the Razer Wireless Charger? We are committed to including more Chroma effects in the future, so please make sure you have automatic updates enabled to get the latest app updates. How do I turn off the light on the Razer Wireless Charger? Press the button in front of the charger to toggle the lights on or off. You can also turn off the lights via the Razer Chroma app by selecting Chroma effect on or off. What is Razer Chroma Lighting and where can I find out more about it? Chroma by Razer represents more than just multicolor, it opens up limitless personalization options. To find out more about Razer Chroma and Full Spectrum Gaming, please visit http://www.razer.com/chroma. Why do I need to pair my phone with the Razer Wireless Charger? You do not need to pair your phone with the Razer Wireless Charger prior to using it to charge your phone. However, for the best experience take advantage of customizing your Razer Wireless Charger Chroma lights by installing the Razer Chroma Configurator app for Android or the Razer Charger app for iOS. How do I reset my Razer Wireless Charger to the default factory settings? To reset your Razer Wireless Charger to its factory settings, simply go into the Razer Chroma app and select the Wireless Charger you would like to reset and click the "i" icon on the Info screen. From there select "Reset Device Settings" and follow the onscreen instructions. I am having difficulties with the Razer Wireless Charger after pairing it to my phone, what can I do to fix this? Restore the charger to its factory settings by going into the Razer Chroma app and selecting the Wireless Charger you would like to reset. Click the "i" icon on the Info screen and select "Reset Device Settings" then follow the onscreen instructions. Remove the Bluetooth pairing form your phone by going to your phone's Settings > Connected Devices > Bluetooth > Remove Razer Wireless Charger. Go back to the app and restart the pairing process. Why won't my Razer Wireless Charger light up? Please check to make sure that your device is properly setup by having it plugged into an outlet. Ensure that the device is paired with your phone's app and check to make sure that the Charging and Standby effects are enabled. Restore the charger to its factory settings by going into the Razer Chroma app and selecting the Wireless Charger you would like to reset then click the "i" icon on the Info screen. From there select "Reset Device Settings" and follow the onscreen instructions. Then go back to the app and restart the pairing process. If resetting your Wireless charger does not help, please don't hesitate to contact the Razer Support team here. What is the "Status Indicator" / Lighting on the Razer Wireless Charger? By default, the "Status Indicator" refers to the underglow lighting that momentarily displays the status of the wireless charger before reverting to its current lighting effect. Please see the chart below. You can toggle the Status Indicator light after you've paired your Razer Wireless Charger to your phone. Does pressing the button on the front of the Razer Wireless Charger turn off the charging capabilities? No, it only turns off the lighting effects on the base of the charger. The charger will only stop charging once the phone has hit 100% or if the phone Qi coils are not lined up correctly. If you were unable to find the answer to your question(s) in our FAQs, please don’t hesitate to contact us here.